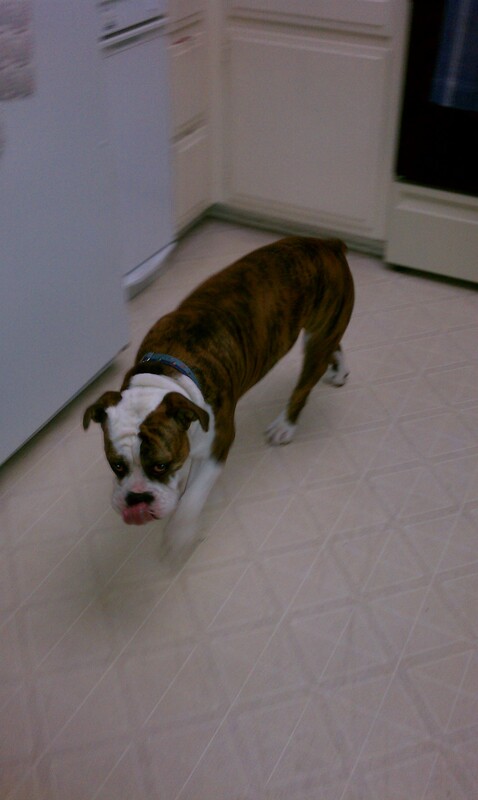 Last night I snapped these pictures of Biggie (our bulldog) and couldn’t wait to share them. 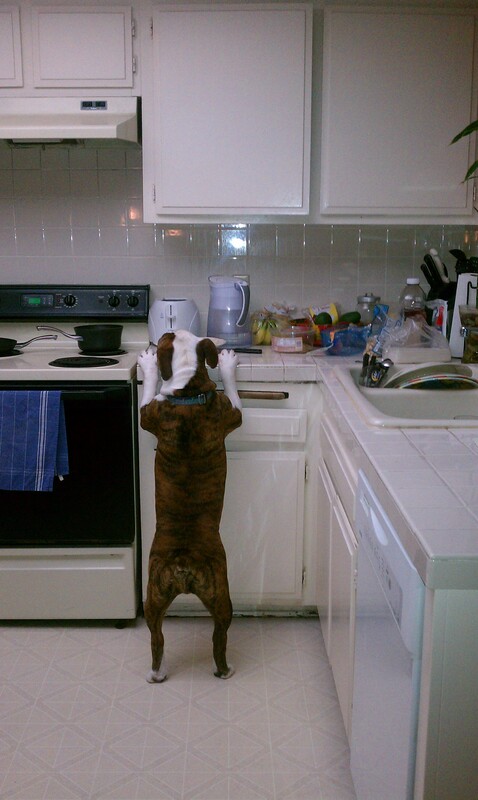 It cracks me up every time that Biggie tries this because despite being too short that doesn’t stop him from atleast attempting to reach what’s on the counter. Sometimes if it’s a scent he’s particularly intrigued by he’ll even stretch out his little paws as far as they can possibly go. It’s quite a funny and inspiring sight to watch. Last night he tried to get a lick of the plate that was on the counter and after a few futile attempts he walked away and I managed to get a shot of him licking his mouth. It’s like he was saying, hey I did my best and even if I didn’t get what I wanted it still merits licking my mouth in delight. This made me think about life in general and how we each have goals that we strive for and persist in achieving. I think ultimately as long as you’re doing your best, even if you don’t get the end result you were hoping for, if you gave it your best shot then that in itself is something worth smiling about. Don’t sell yourself short and if you need to by all means get on your tippy toes to reach your goal, do your best, and no matter what happens, be thankful for what you achieved in the end.